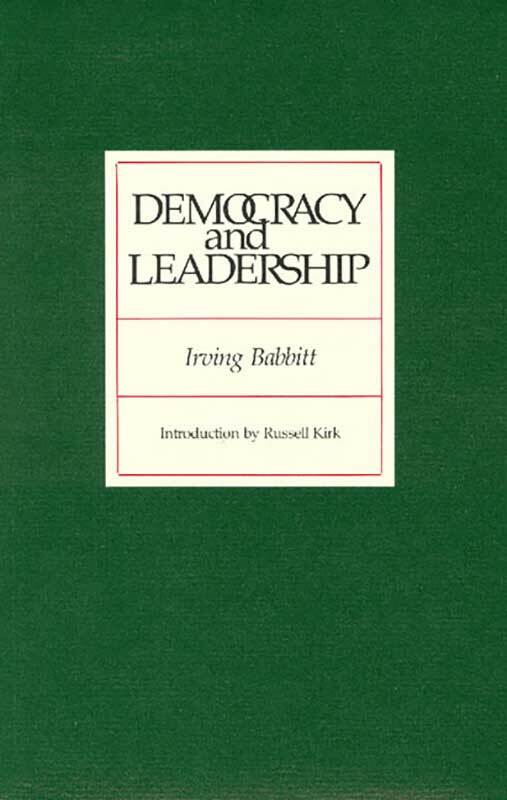 Irving Babbitt was a leader of the intellectual movement called American Humanism, or the New Humanism, and a distinguished professor of French literature at Harvard. Democracy and Leadership, first published in 1924, is his only directly political book, and in it he applies the principles of humanism to the civil social order. Babbitt offers a compelling critique of unchecked majoritarianism and addresses the great problem of how to discover leaders with standards. Foreword, prefatory note, appendixes, bibliography, index.